If you are in need of Weymouth Bits we have just what you need. Rest Assured you will receive a top quality item delivered straight to your door. This Medium Weight Wide Port Weymouth Bit measures 3'' in the Shanks. At Horse Tack Now, only the best horse products at discount prices. 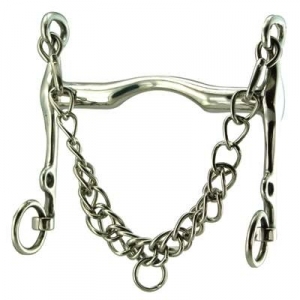 This Weymouth horse bit is also made of pure solid stainless steel which are very durable.